Actor Jamie Foxx will be starring in the upcoming western movie of Quentin Tarantino, Django Unchained. The Oscar winner will play a slave trying to rescue the woman he loves. Jamie Foxx will play the role of Django, a slave who was set free and whose main goal is to try and save his beloved Broomhilda from the cruel owner of a plantation, Calvin Candie. He will need a helping hand from a German bounty hunter, named Dr. King Schutz. The plantation owner is played by Leonardo di Caprio and the bounty hunter’s role has been given to the Inglorious Basterds’ Cristoph Waltz. The part of Broomhilda is not yet given to any actress officially, but Kerry Washington is in talks to play it. Also, Samuel L. Jackson will be Candie’s slave. Foxx, 43, has not been Tarantino’s first choice to play the main character. He first offered the part to actor Will Smith, but he turned it down. Then he had several other meetings with a series of actors, such as Idris Elba, Terrence Howard and Chris Tucker. Only then, he gave the part to Jamie Foxx, Variety says. The filming of Django Unchained is set to begin in the fall of 2011.the movie is scheduled to hit theaters on Christmas Day of next year. 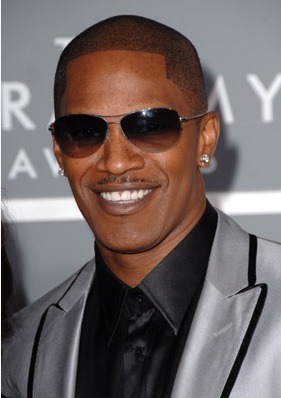 Jamie Foxx has starred in a series of movies since 1992, when starring in Tous. He has wn an Academy Award and BAFTA Award for Best Actor as well as the Golden Globe Award for Best Actor in a musical/comedy, for his role in Ray (2004).